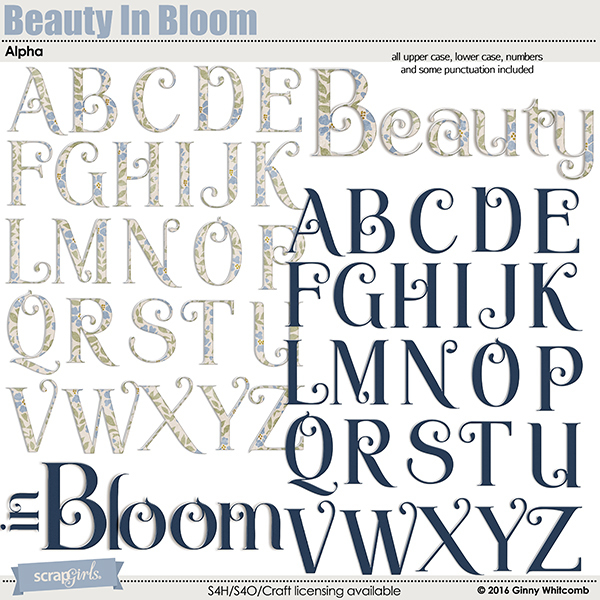 Usher in spring and the coming warmer days with this beautiful floral collection. 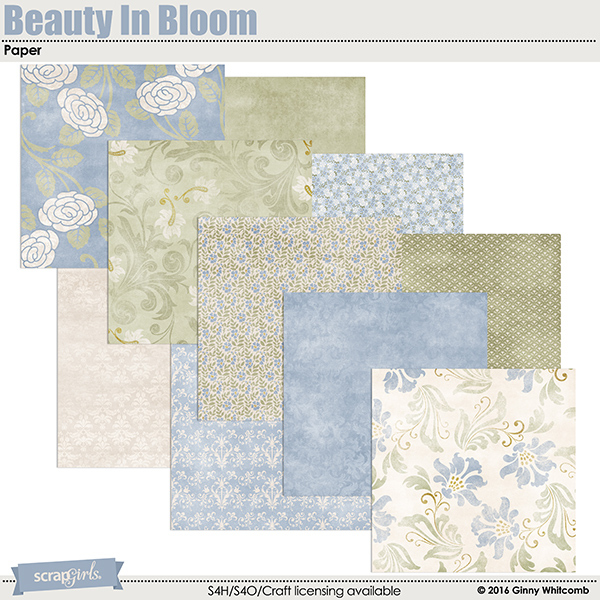 White camellias and blue fabric irises and a pop of yellow daffodil fill this collection. 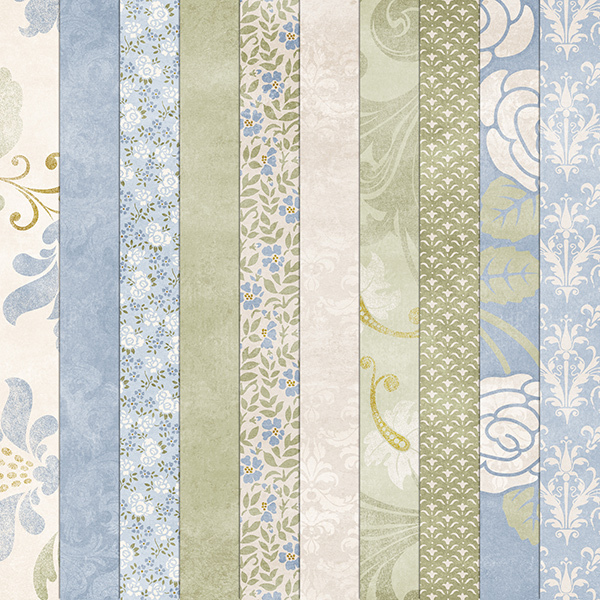 Soft hues of blue and green, designed in luscious floral and damask, provide a soft background for your creations. A shabby masculine embellishment collection designed from the male perspective. Perfect for adding those little details to any heritage or masculine themed layouts and projects. 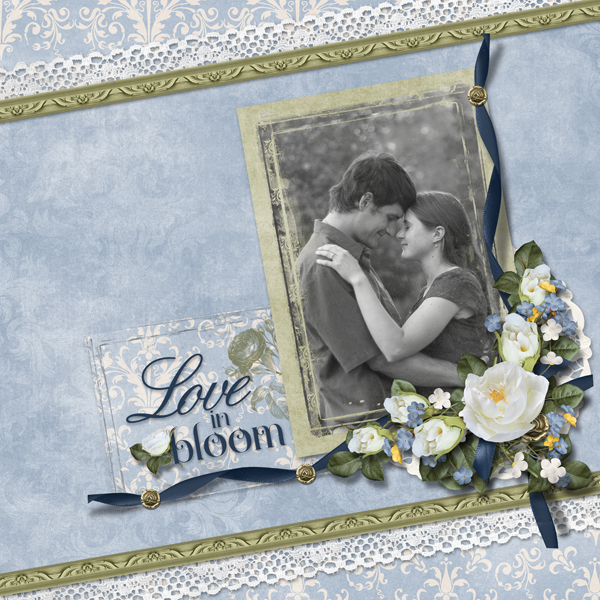 A vintage inspired collection perfect for your heritage, love, or wedding themed projects. 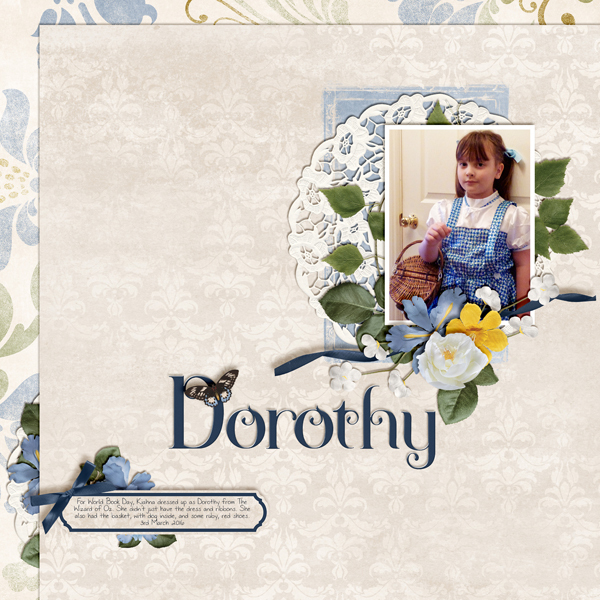 This collection includes ready to use photo clusters, page borders and unique embellishments such as a lace fan, fountain pen, doily, a beautiful camellia and so much more. 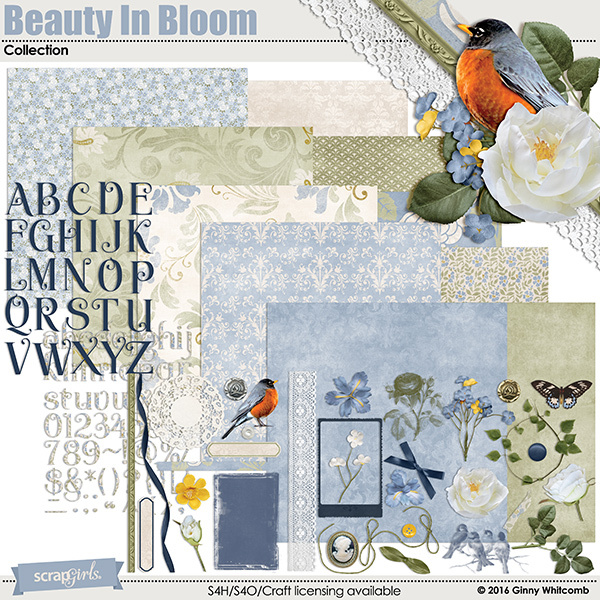 Digitally scrap your summer and spring themed photos with this gorgeous "A Beautiful Day Collection". The Feeling Sentimental Collection Mini is all about taking a moment to reflect back on special memories and people from your past. 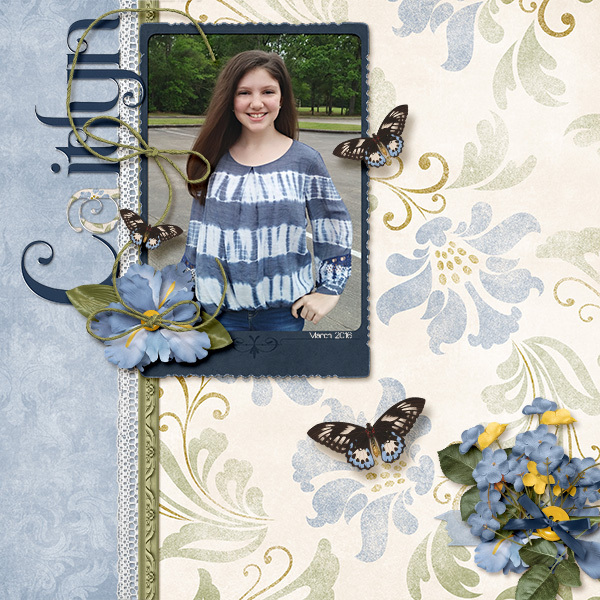 The Blue Collection Biggie is a classic blue and white digital scrapbooking collection inspired by the beautiful Delft Blue Pottery of The Netherlands. 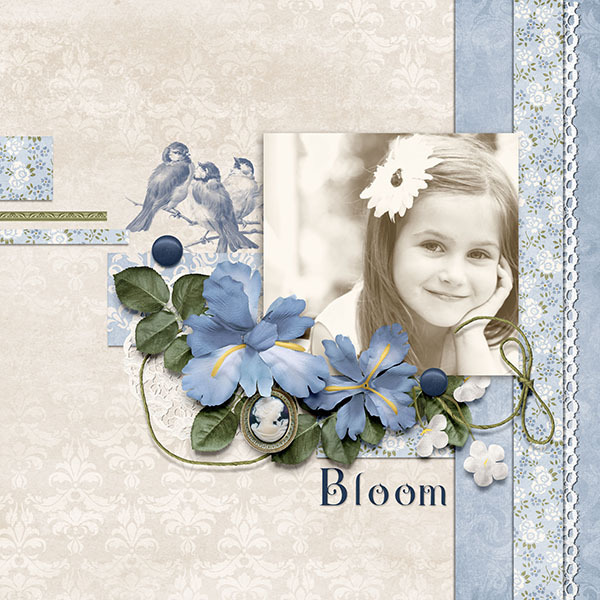 Create your own banners, labels and tags with this fun set of digital scrapbooking custom shapes! Photoshop and Photoshop Elements. 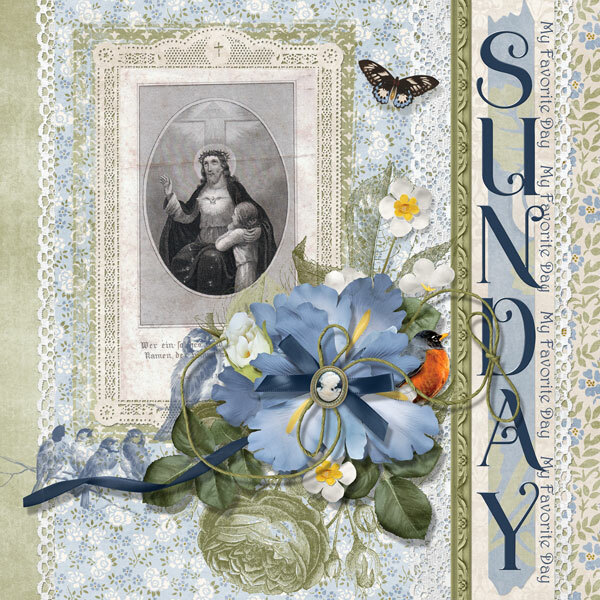 This genealogy themed scrapbooking kit, is a timeless collection for recording your family history and memories. 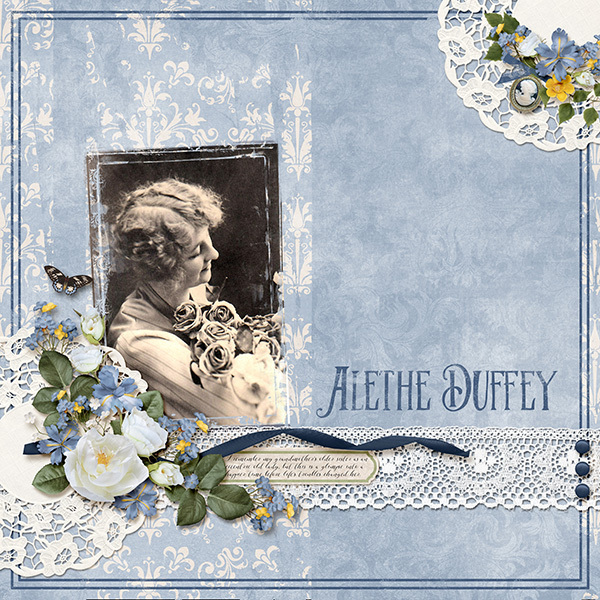 Perfect for family portraits, creating albums, preserving those special family moments of days gone by, or charting your family tree. I love all things grungy, tattered, torn and curled! 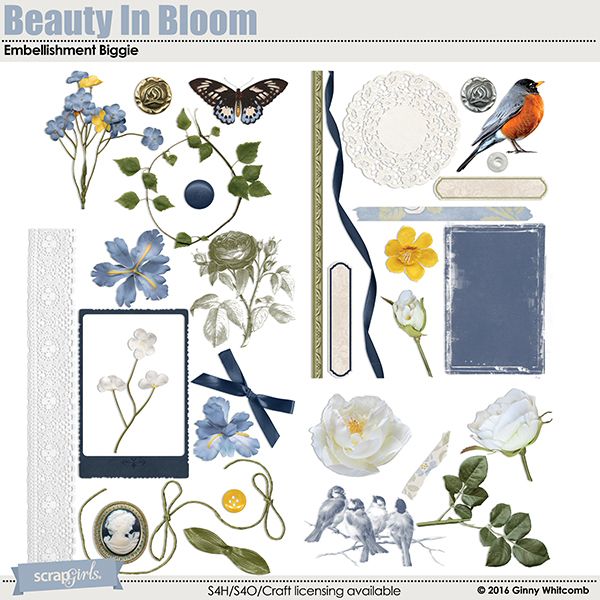 These templates make it simple to create these looks. I couldn't not create this look without these templates!